A peptide produced by neural tissue, esp one with hormonal activity. It’s something tiny that alters our entire social world. Oxytocin attracts us to others when we’re single, and reinforces existing relationships when we aren’t. Distance between Oxytocin/in relationship, and both placebo’d parties. Each placed into individual cages with more aggressive mice. The group with no Oxytocin receptors appeared to have forgotten the violent encounter. Groups viewed images and voted on the most attractive(1-11 ratings). Placebo (group 1) and Oxytocined(group 2) groups viewed their own and other groups responses. Group 1 and 2 agreed with their group more often than not. But Group 2 cited more strongly with their group when another group disagreed. Summary: Oxytocin enhances bonds with those around you, and subsequently alienates you from other groups. ROTC, Band members, frat members, sports teammates. Led to increased oxytocin levels. Groups that reported feeling more marginalized went for option (1). Groups were outright aggressive against other groups. Summary: Oxytocin made partipants more trusting, not unreasonable. 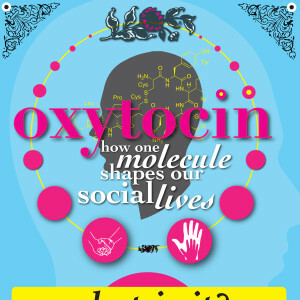 Oxytocin: the love, cuddle, holiday, moral, and group think hormone makes us who we are, for better and worse.